FTC Disclosure: I bought this on my iPad and now wish I had a hard copy to pass on to others! 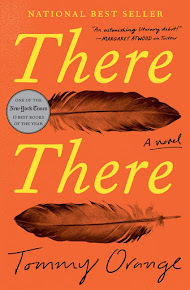 Summary (from the author's website): Reeling from newly uncovered family secrets, and anger at her mother and aunt for keeping them from her, Joy runs away to Shanghai in early 1957 to find her birth father--the artist Z.G. Li, with whom both May and Pearl were once in love. Dazzled by him, and blinded by idealism and defiance, Joy throws herself into the New Society of Red China, heedless of the dangers in the communist regime and the Great Leap Forward. Devastated by Joy's flight and terrified for her safety, Pearl is determined to save her daughter, no matter the personal cost. From the crowded city to remote villages, Pearl confronts old demons an almost insurmountable challenges as she follows Joy, hoping for reconciliation. Yet even as Joy's and Pearl's separate journeys converge, one of the most tragic episodes in China's history threatens their very lives. Review: I loved catching up with the characters from Shanghai Girls! Lisa See picked up just where she left off, with Joy discovering that May is her birth mother. They've all had a terrible fight and Joy flees to China where she thinks she will take part in a wonderful new society filled with opportunity, equality, and everything her home in Los Angeles isn't. 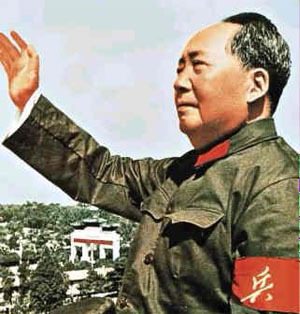 But, of course, Mao's China is anything but equal or easy. As a world history teacher I loved teaching about China under Mao with it's ever-changing rules, crazy schemes, and scary repercussions for "actions against the people." I have seen amazing documentary footage of the Chinese ridding China of sparrows, making steel in their back yards, and children instructing their elders on how to behave. All of that and much more is in this book. 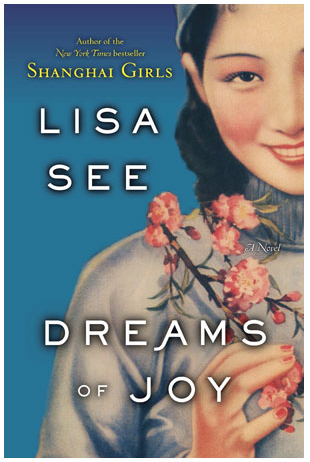 See did extensive research through interviews and reading to make Joy's experience during the Great Leap Forward of the 1950s accurate, fascinating, devastating, and a great read. As in Shanghai Girls, I loved the characters in Dreams of Joy. The main characters hold their own and make me want to know more while the supporting cast helps to further the story, reveal more about Joy and Pearl as well as China itself. My heart ached for the characters and the treatment they gave one another and I was reminded again how easily swayed to anger and inhuman behavior we are when we're pushed to the edge. The story flows well and, since it is based on history, is believable, even when I didn't want it to be. At 19 and idealistic Joy makes such awful decisions that have a huge impact on herself and those around her. But a family's love and devotion eventually win and that's what I want to have happen. Click to see my updated Google Map. Dreams of Joy is my first book set in China for this year. Lisa See did a fantastic job of giving a sense of geography and place!